As the first half of 2013 comes to an end, the number of singles purchasing homes is steadily on the rise, according to a study conducted by the National Association of Realtors. The study found that roughly a quarter of all home purchases being made today are by solo homeowners, which is a major shift from 2010 to 2012, when solo homeownership dropped by an unprecedented 7%. With solo homeownership becoming more and more common, now is a great time for you to jump on board and take the plunge into buying your own home! The fact that solo homeownership is steadily rising can mostly be attributed to the improved state of the economy. People are able to find jobs more easily than in past years, allowing them to build their credit and financial histories in order to qualify for a mortgage. During the recession, most lenders tightened their standards for applicants, which made it nearly impossible for borrowers without dual incomes to qualify. While some lenders are still incredibly stingy about who they’ll lend to, it’s much easier in 2013 to qualify for a solo home loan than in was even just a year ago. While home prices are steadily recovering after the housing market crash, they’re still low enough for a single person to afford. For example, LGI Homes offers brand new houses in Texas, Arizona and Florida starting at just $629 – far less than average rent costs. For singles who are tired of throwing away upwards of $700 a month to rent a one bedroom apartment, buying a three, four or even five bedroom house for the same cost – or less – is highly appealing. 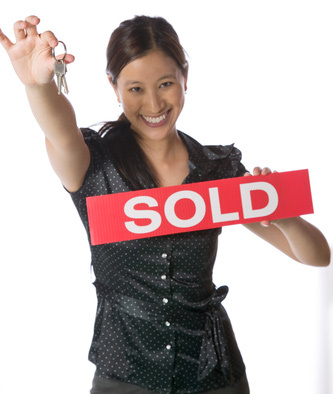 Interestingly enough, studies have shown that single women are purchasing homes nearly twice as often as single men. This can be seen as a highly important shift not only in the housing market, because just a few decades ago women were often barred from taking out a mortgage alone. The National Association of Realtors noted that most single female buyers were foregoing condos entirely and opting to buy single-family homes. Buying a home as a single can be seen as a huge investment in the future, because you’ll have built equity in your home and settled in before you’re ready to settle down and have children. Singles who own their own homes enjoy the luxury of being able to do whatever they want. They can use extra rooms for offices or game rooms, paint the walls whatever color they desire and transform their entire home into a direct reflection of their personalities. Singles often pride themselves in their ability to own their own home without the assistance of anyone else. If you’re interested in taking the plunge into home ownership by yourself, call us today to see how we can get you out of your rental and into the home of your dreams! We offer a wide variety of resources to help you get started on your path to homeownership, and we’ll be there to assist you every step of the way. From credit counseling to our no down payment option, buying a home by yourself could be easier than you think! Why LGI’s Homes Make Great Second Homes Should You Piggyback Your Mortgage?